I arrived to Vienna at the much more civilised hour of 8am, ready to tackle the city. I had to cross town to my hostel but the public transport was easy and convenient and despite getting a little lost the other end I was quickly able to check in and feel slightly more human before dashing back out again to find a walking tour. In Europe, it’s go hard or go home. 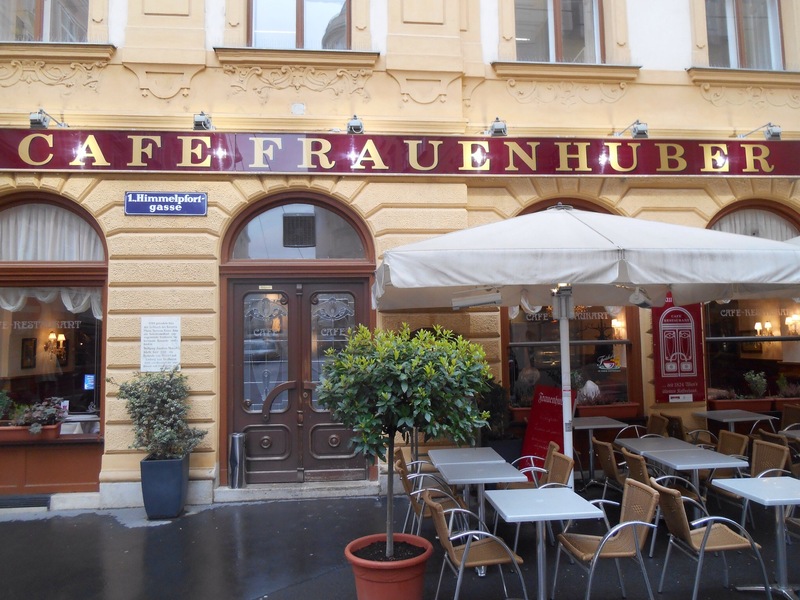 Of course, a new city and my sense of direction, I missed the walking tour and so began tackling the city starting with the first Vienna must do, a coffee house. Feeling much more prepared to tackle the world, the owner of the quaint coffee house helped me devise a plan. 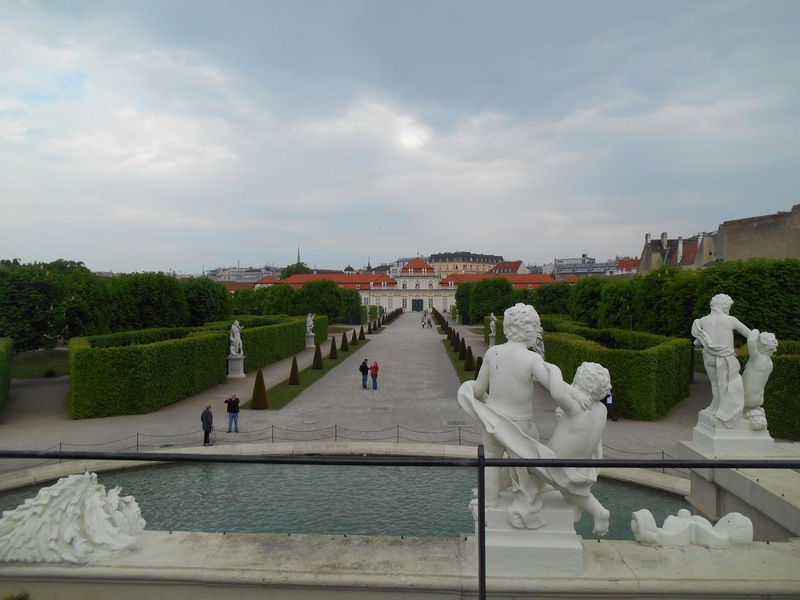 I walked to the Belvedere palace, one of the many city residences of the once ruling Hapsburg royal family. It was set in amazing grounds, a botanic garden filled with fountains and sculptures. They seemed very keen to convey that their mythical creatures were women. Looking back towards the centre of the city from here was beautiful and you could just make out the structures of church and Vienna tower on the skyline. 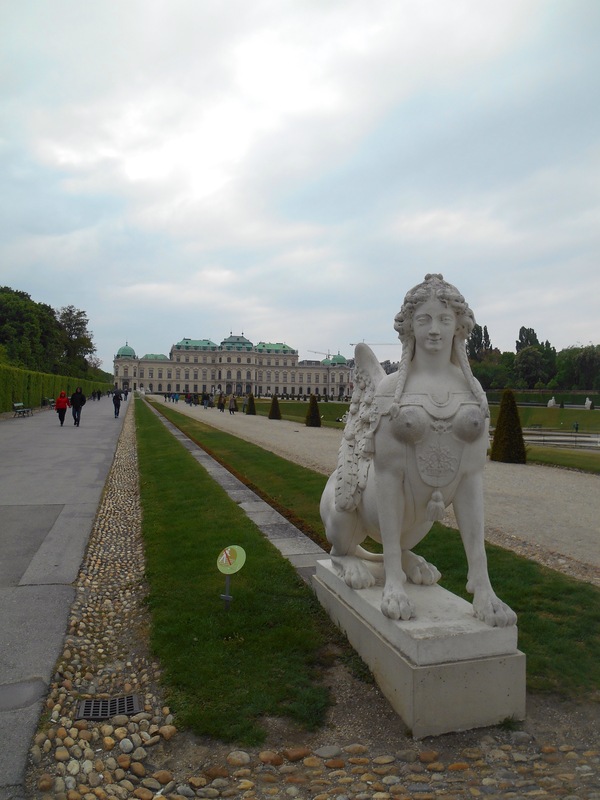 With no time to spare, I headed towards Vienna’s first district, it’s heart. 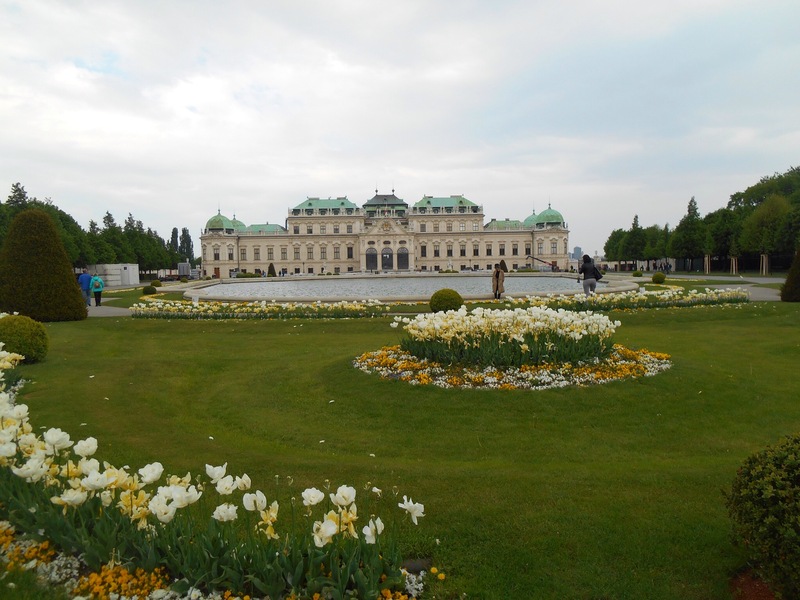 It is enclosed by a ring road and boasts it’s museums, Hofburg palace and cathedrals. Once inside the ring road my first stop was to glimpse Vienna’s famous opera house. This city of music is well known for Mozart and nurturing talent and here I was standing in front of the opera house, nearly 150 years of incredible and inspiring performances since its opening in 1869. It was hard to loiter too long in awe without being approached by costumed ticket sellers offering tickets to the evenings performance. 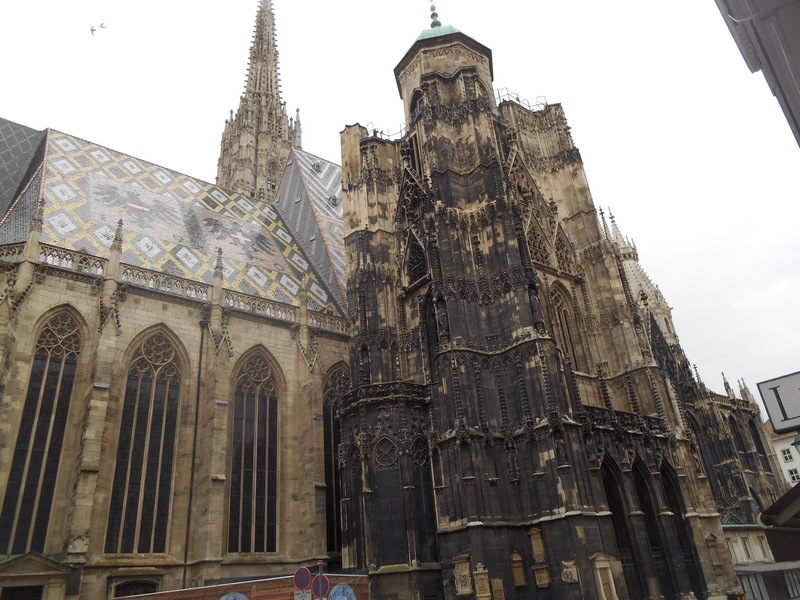 The district is intersected by the Main Street, Karntnerstrasse and guided by the giant spires of the gothic cathedral, I passed the designer shops and souvenir stores, the shopping capital of Vienna. Another inspired hero of Vienna’s past is Gustav Klimt, the modernist artist most famous for ‘the kiss.’ Through a little souvenir store I found my way into an exhibition of his work showing his progression from poor family in the city’s 14th district, to international recognition. His work wasn’t always the brightly decorated modernist pieces and I was surprised to see landscapes and portraiture, his love of gaudy gold emerging much later from later trips to Vienna and he began incorporating gold leaf into his paintings. On every corner and street came the outdoor sausage stands, the wurtzelstands. Amazing smells wafted as the many different types of sausage were lovingly tended to and turned, the customers standing at the circumference enjoying their food with bread and a hot pickle. 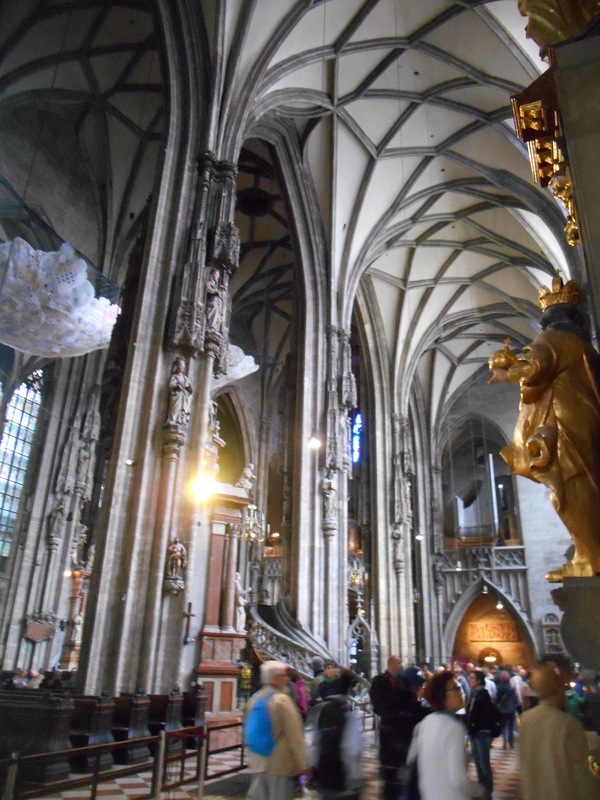 Fed, although unfortunately not with Vienna’s typical delights, I headed for St Stephens cathedral, Stephansdom, once the tallest cathedral in Europe until it was subsequently trumped by Strasbourg. It’s gothic style sees knotted turrets thrust high into the sky. Inside the gothic intricacies continued with the arched roof and spiralling support beams. 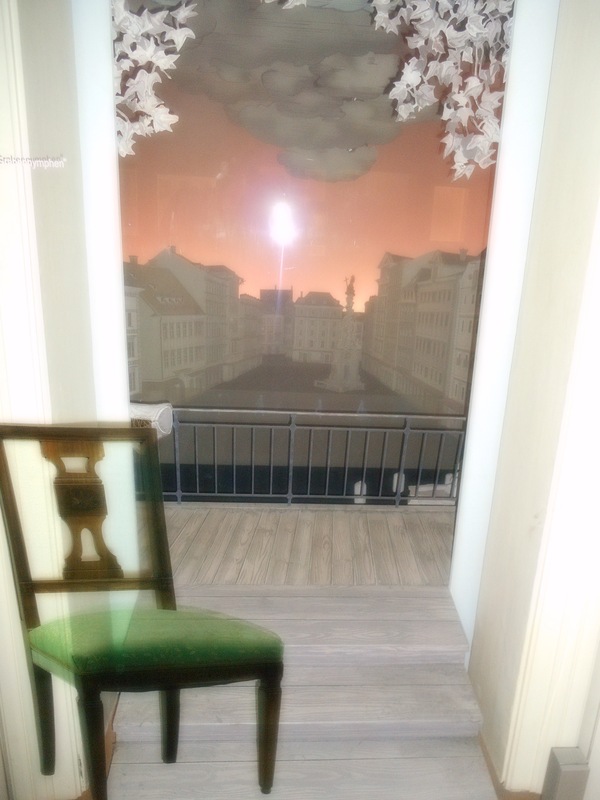 Tucked around the corner up one of Vienna’s many cobbled streets was Mozart House. Mozart moved from his home in Salzburg to live, work and compose in the city. In his 10 years in Vienna he had 13 different homes in varying degrees of comfort. 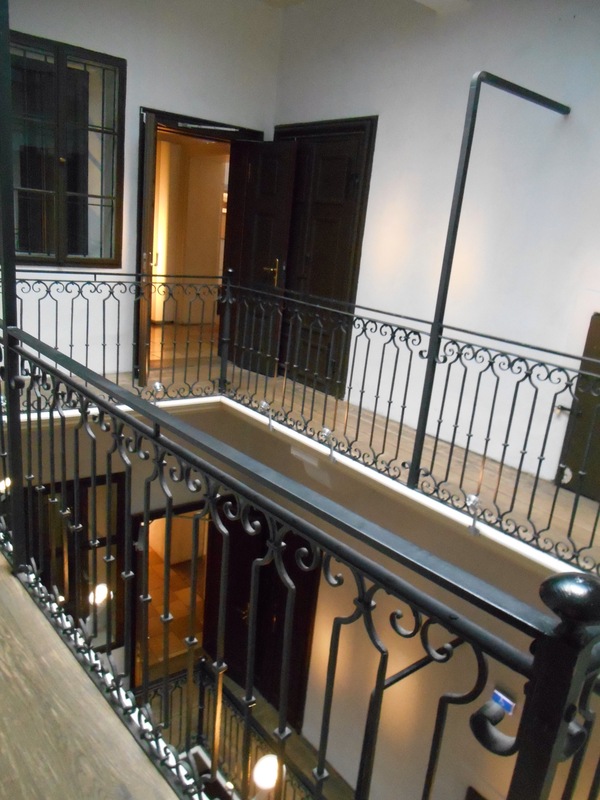 The only surviving apartment was his most lavish, at the height of the success in his lifetime. He composed his first opera, Le nozzle de figaro in the apartment as well as is frequently performed,’The magic flute.’ He lived in the apartment with his wife and brought up his children in the centre of Vienna’s first district. Although he earned well and enjoyed the company of Vienna’s most prestigious names, Mozart enjoyed gambling and frequently had to beg and borrow money from friends to pay his rent. I went back to my hostel before heading out to meet Barbara, my Austrian friend who had put up with me for one month in Africa. Confident with our meeting place at the interesting of Mariahilferstrasse and Neubaugasse I set off walking. My hostel was on Mariahilferstrasse so it would be a 10 minute walk down a straight, main road, what could go wrong. My internal compass, that’s what. I walked in the opposite direction. When it started to get a bit green I checked the map, double checked it, turned it on its head and then began running back where I came from. Consulting the help of the metro I was only 20 minutes late and she was looking out for me, so from the African outback, we met again in Vienna’s urban metropolis. We sat out on the bustling street enjoying a short coffee and reminiscing about the funny time we had shared. The laid back central European nature of dining has been subsequently mentioned to me again, able to sit and enjoy a drink, read 5 newspapers, swap life stories and then catch the waitresses eye when you would like to order another sip sized pick me up or pay the bill. 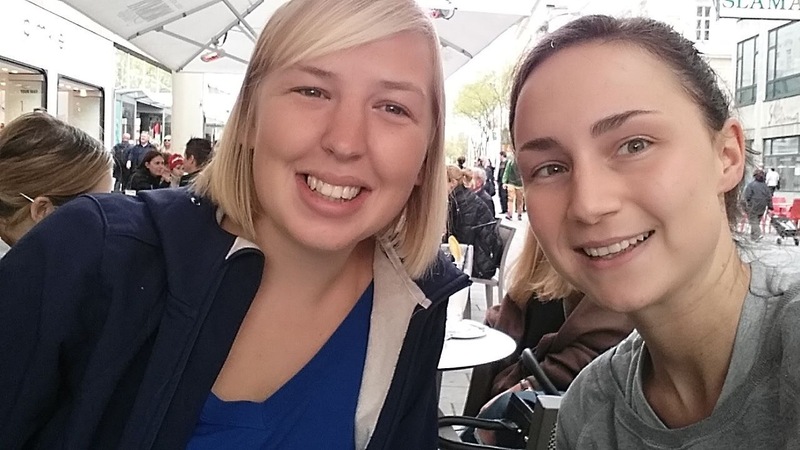 We made our way into the first district together, and parting ways on the tram, I made my way to the ring road to catch Vienna’s ring tram. In 25 minutes you can circle this main dividing road between the first district and the rest of sprawling Vienna, passing all of the iconic buildings that make up the city including the Hofburg palace buildings and Vienna’s parliament. The tram starts in Schwedenplatz, so named as a thank you to Sweden who took in 30,000 starving Austrian children post WW2 and returned them to their country happy and healthy a few months later. This edge of the district is on the banks of the Danube, Vienna’s tower and Ferris wheel (reisenrad) beyond the dividing river. Take 2 for making the walking tour, and with a slightly better sense of the cities layout I made it to the Hapsburg’s inner city residences in time for 10am. 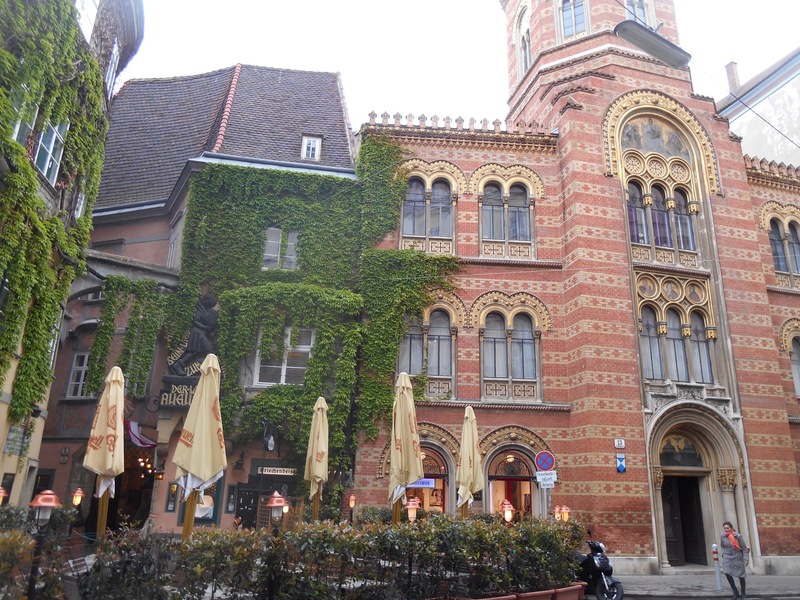 With 17 buildings and 16 courtyards, much of the city is being utilised for museums and galleries since the deposition of Franz Josef in 1917 and the end of the 650 year rule of the Hapsburg Dynasty. The palace is a time warp in itself, each generation or ruler adding his own grand mark, resulting in parts of magnificent Renaissance decor, others beautiful baroque. We entered St Angustines church, where royalty would have been married. The inside was a beautiful gothic design form its original build in 1327 however the outside had been refronted as baroque to fit the rest of the courtyard. 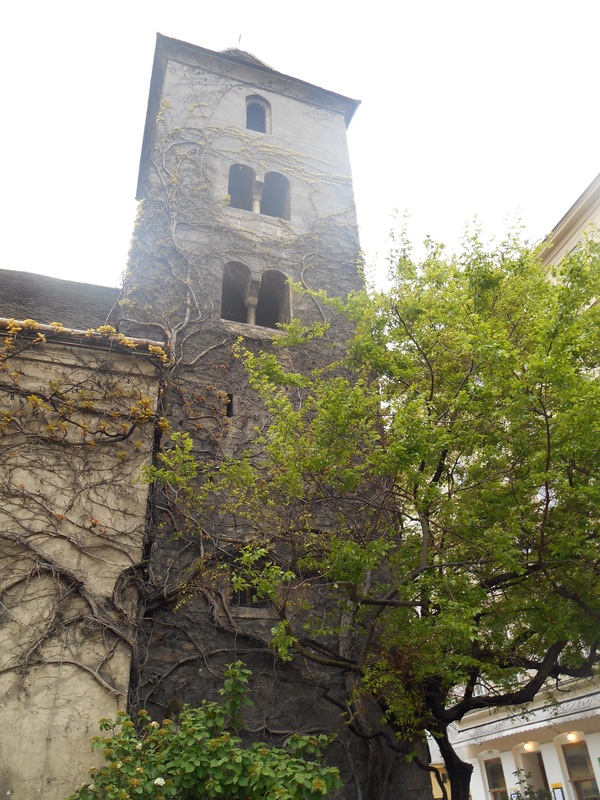 Walking through the cobbled streets of Vienna, it retained its old charm. It was also remarkably quiet, feeling not like a capital. With Austria once 5 times its current size, Vienna used to have a busting 2.2million population and of its time would have been a city of significance much like Paris, London and Moscow. Now it’s modest 1.8million population makes it feel more like a beautiful town than bustling city. We ended up back by St Stephens cathedral, our guide explaining that all the surrounding buildings are church owned, thus the lingerie and liquor stores housed in the covered cobbles alleyways nearby are directly funding the church. We had a little break from walking, time to enjoy a traditional Austrian sweet or pastry, of which there is plenty of choice. I went for an Applestrudel before we proceeded on to look through shop windows at traditional lederhosen, and of course more cakes! 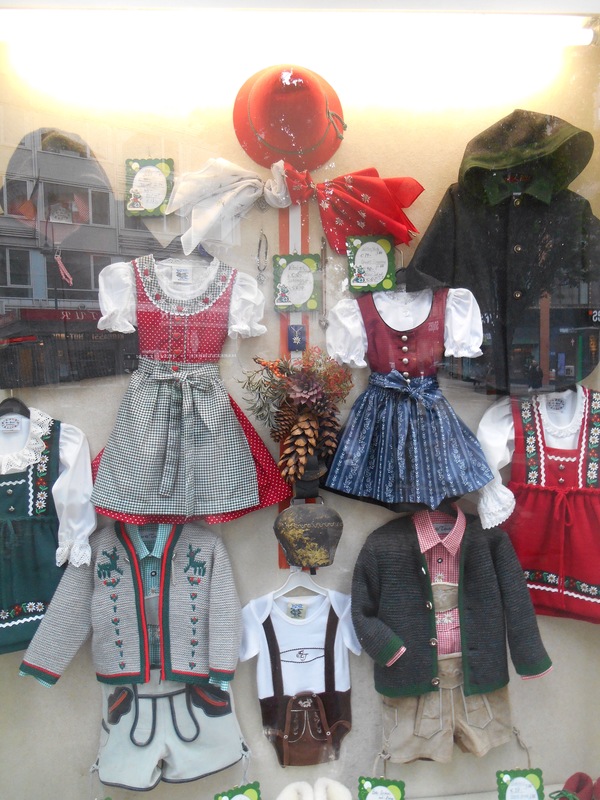 Whilst walking down the Main Street, our guide told us about the traditions of his grandma growing up in Vienna. In the 1940’s aged only 19, her and her friend would walk along opposite sides of Karntnerstrasse, the place to be seen and see how many hats they could get. Essentially, they would eye a man until he tipped his hat and asked them to join them in a coffee house nearby. Then they would decide whether to accept or decline, meeting again to compare how many hats they had got. In the last part of the walk we passed many contrasts. There was evidence of a very short bought of Art Deco architecture, the ornate Jewish Synagogue, he so named ‘Bermuda Triangle’ of bars and clubs and the steadfast remains of a Roman church ruins dating from the 8th or 9th century. In a city of so much history, Vienna still feels conservative and welcoming, easy to explore with plenty to excite. 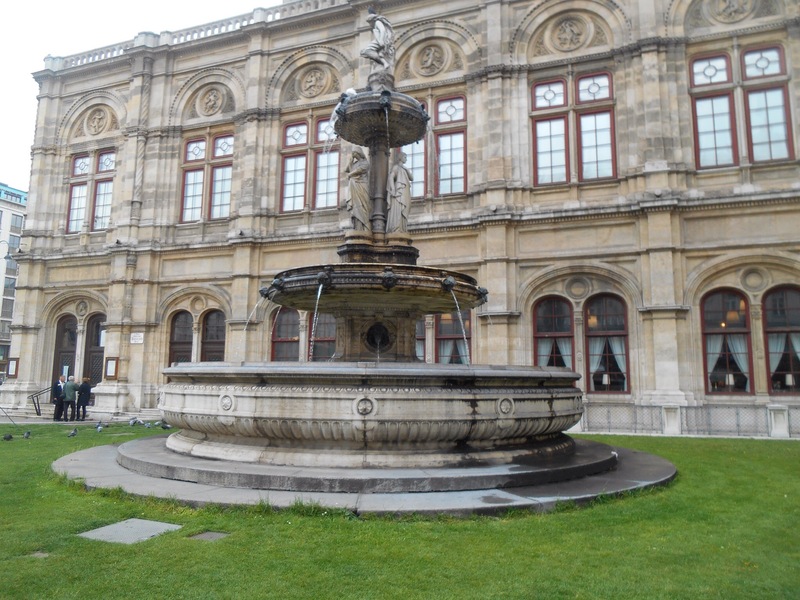 Feeling charmed by Vienna, I headed on to the train station to continue the route of the Orient Express to Budapest.